Every year Winter hits us (without much warning) like a ton of bricks. The first snowfall is magical and we’re quickly reminded of all the things Winter has to offer: skiing, sledding, snowball fights, hot chocolate, warm sweaters, fuzzy boots and fires. It’s certainly a time of year that, although cold — very, very cold — can bring a lot of fun through outdoor activities with family and friends. 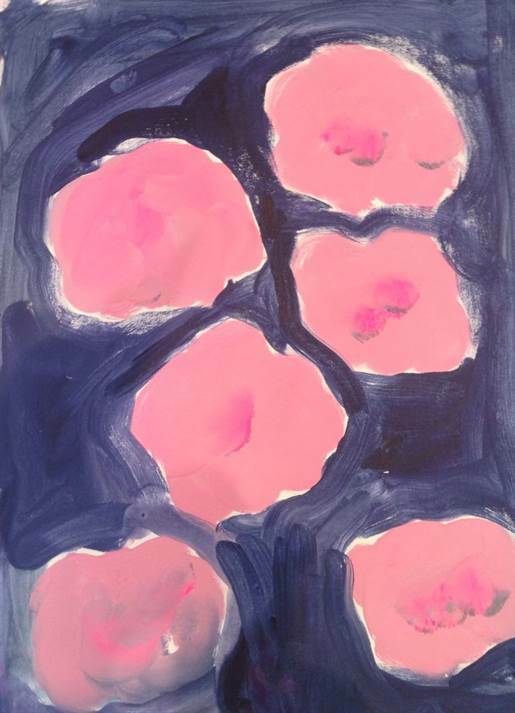 However, these long and cold days tend to drag on and on, and as soon as the groundhog sees his shadow (expressing 6 more weeks of winter) I think we’re all ready for that first day of Spring. 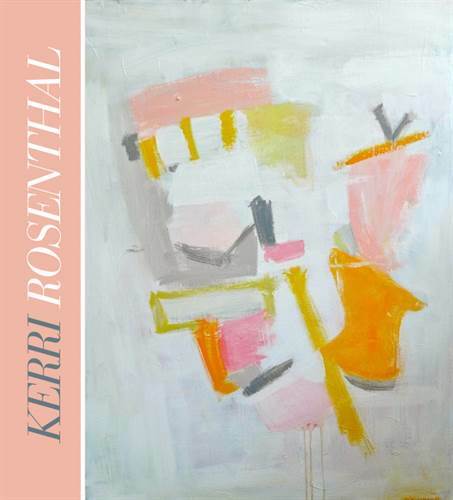 With that being said, I was recently inspired by an artist, Kerri Rosenthal, who doesn’t live too far from where I grew up in CT. 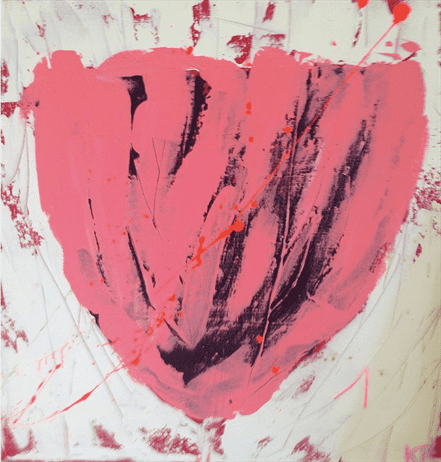 Her warm, expressive paintings not only bring brightness and cheer to a space but they also have an incredible way of lifting your spirits when you enter the room. 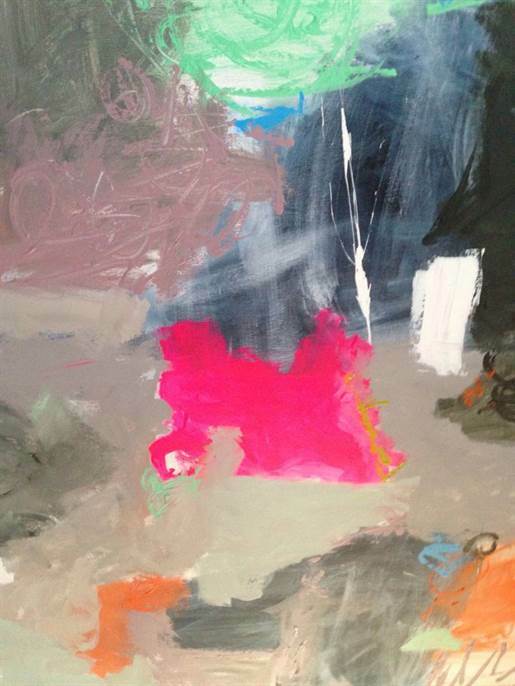 Colors speak volumes and can transform your space and your mood on a cold Winter’s day. 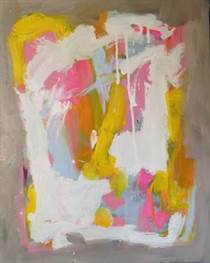 Take a look at some of Kerri’s work below and if your Winter is dragging on like most of us in the NorthEast, it might be time to illuminate your days and remind yourself that Spring is just around the corner. 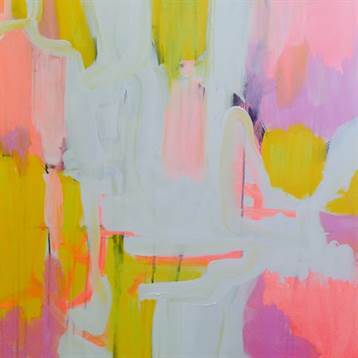 If these paintings and colors don’t brighten your mood and prepare you for warmer days ahead, I don’t know what will. 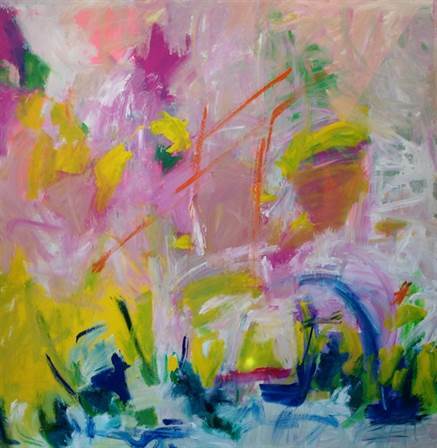 Not only will a fresh new painting bring inspiration and happiness to your mind but it will breathe new light in your home – that just might be needing a boost of sunshine. 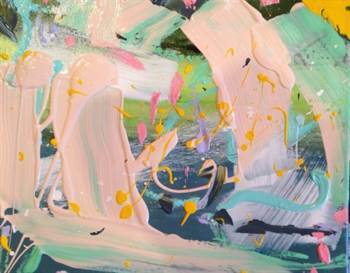 For more information on Kerri and her artwork you can visit her site here. 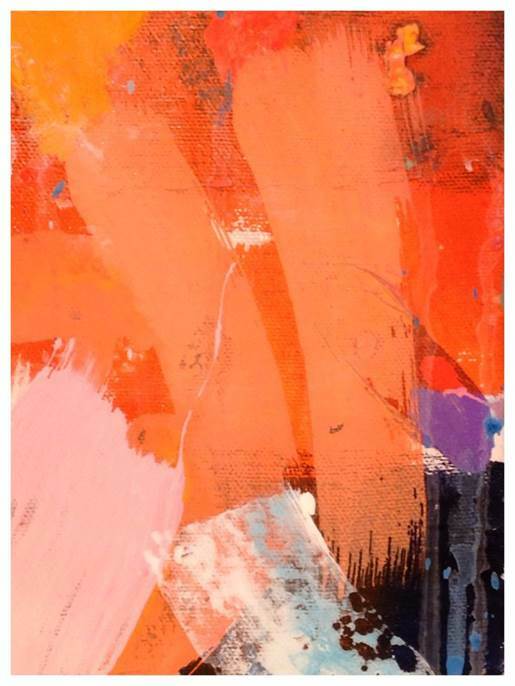 This year, Holland totally rocked their bold color pallet of cobalt, orange, navy, and white. 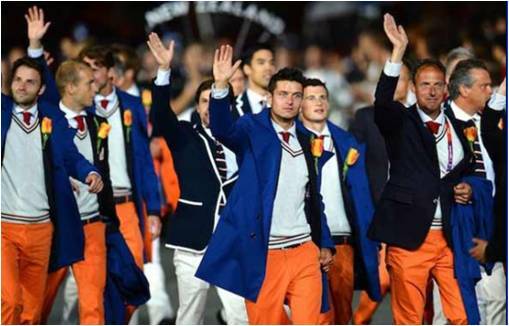 Each athlete was exquisitely tailored in these designer outfits. A wonderful touch and homage to their homeland’s national flower, can be seen here with a tulip pinned to each athlete’s lapel. 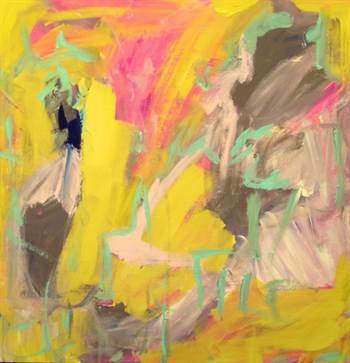 These colors are a fresh and trendy way to spice up any interior. 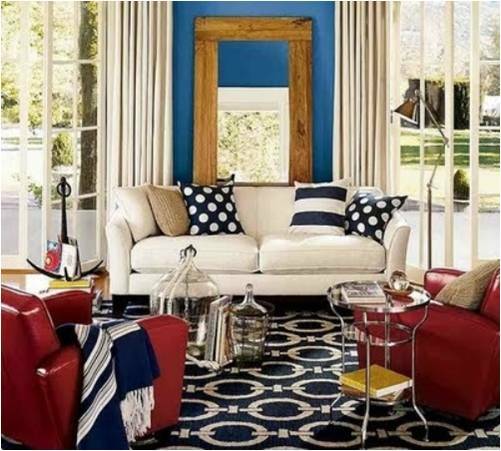 The contrast that these colors make next to each other creates a statement that is sure to impress. 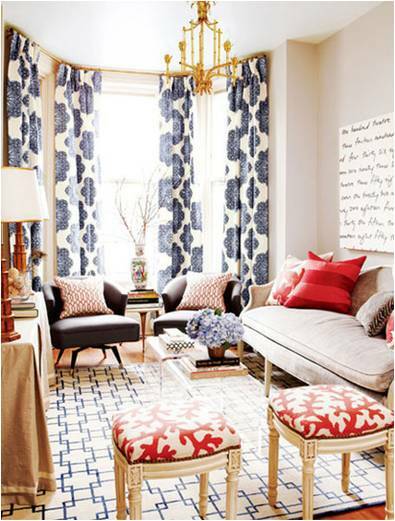 Mixing patterns with these exciting colors works well, and adds even more look to this stimulating mix of hues. 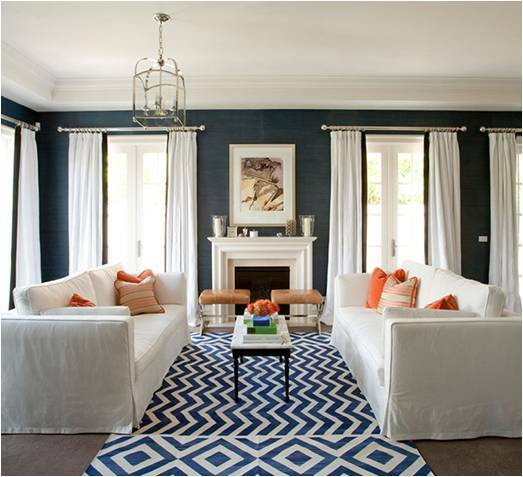 These deep navy walls with accents of orange is striking and at the same time, elegant and fun. 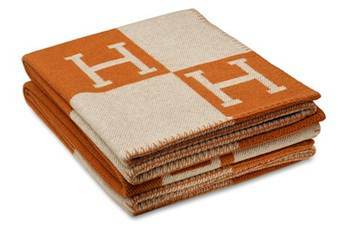 This luxurious cashmere blanket by Hermes is a definite must have statement maker. The unmistakable, classic Hermes orange and white will not go unnoticed! 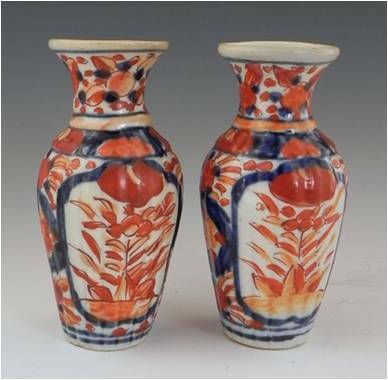 Also, these orange and cobalt painted vases would be fabulous on any mantle. 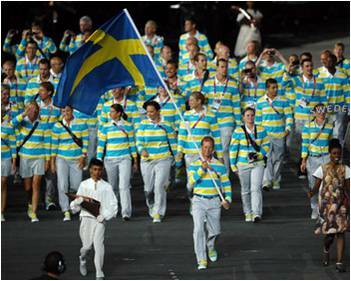 Sweden’s athletes were definitely noticed at this year’s opening ceremonies. Their bright yellow and aqua stripes with white pants were definitely “spot on” for summer fashion. Even their sneakers made a statement, blue with yellow laces. Great attention to detail. 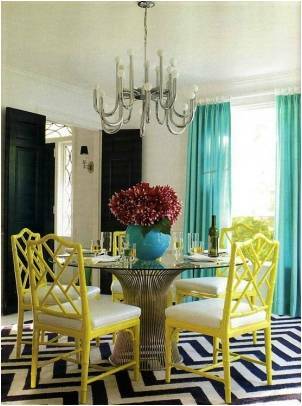 This delicious dining room makes great use of yet another bold color pallet. Beautiful, bright bamboo chairs in a cheery lemon yellow are definitely a focal point. The black accents of the doors and the chevron pattern rug help add a touch of chic to this fun dining space. 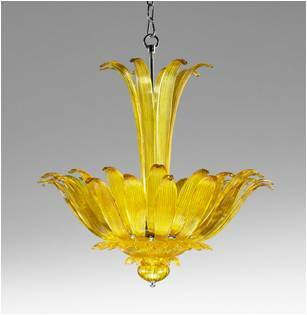 Add some colorful light and sparkle to your space with this amazing yellow chandelier from Cyan. 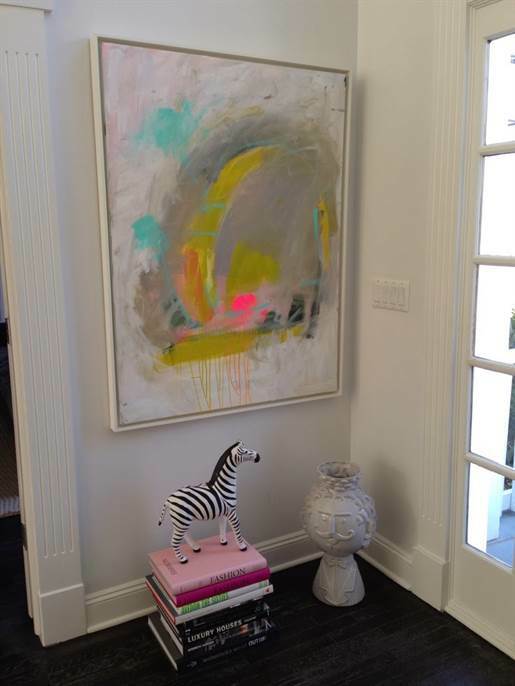 This piece brings fun antique whimsy with its classic shape that is sure to liven up any space. 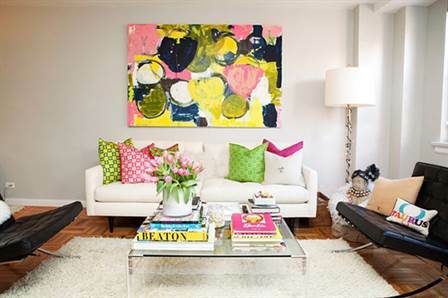 Check out this brightly colored room! 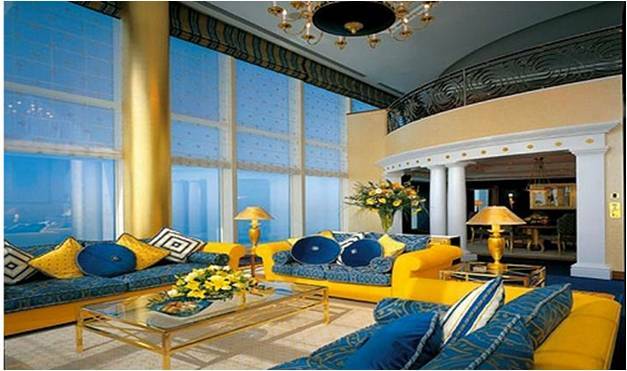 The yellow sofas and bright blue pillows are festively summer, and help give this room its own signature look. 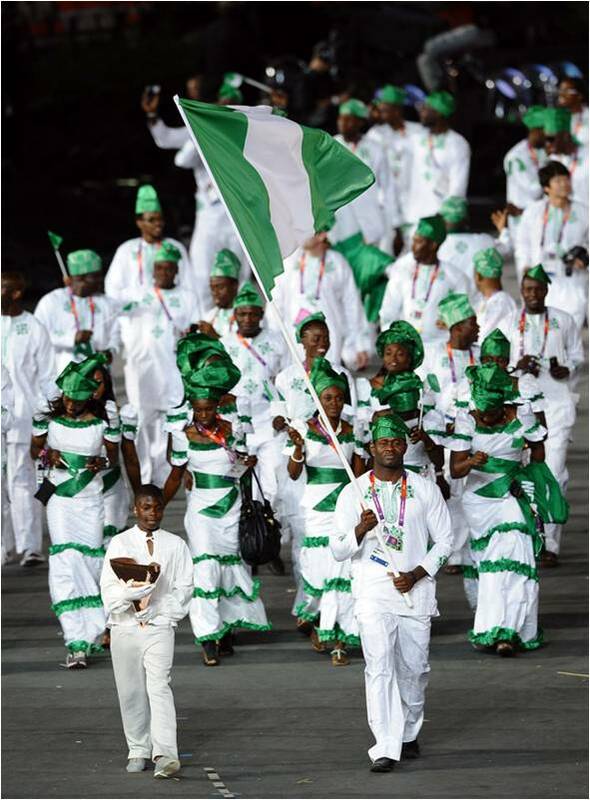 Take a look at these fabulous white and green outfits worn by Nigerian Olympic competitors. 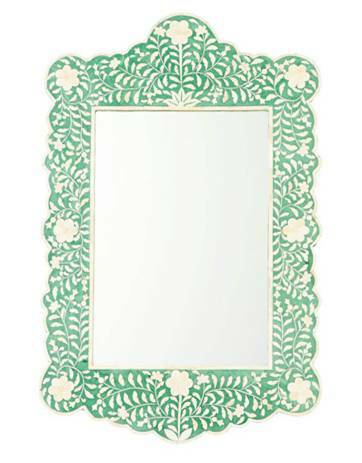 Kelly green makes a luscious color statement against bright white. 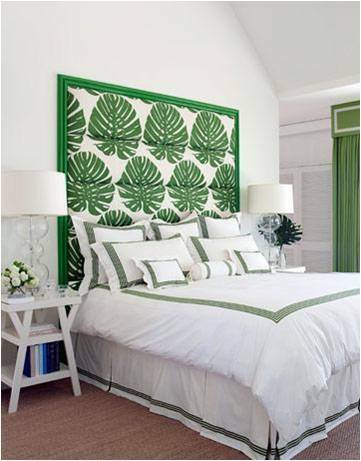 This gorgeous green upholstered head board transforms this bedroom into a tropical retreat. The simple bedding with a classic green stripe is simple and refined, making a calm compliment to the statement making headboard. The bedside lamps with a clear glass base add interest to the room, without taking away from the clean, crisp feel of the space. 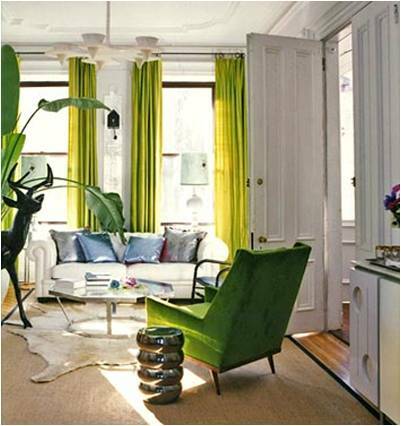 Another clean color pallet of green and white makes this living room feel swank. The modern floor lamp and glass top cocktail table make this space feel expensive, without going over-the-top. The metallic accent pillows and chrome side table really adds some glamour and flash to this tropical living room. The palm tree is also a great touch of natural color. We also like the white cow-hide rug turned on an angle under the cocktail table. 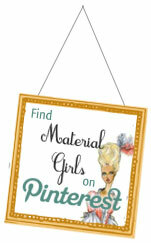 Definitively chic and modern! 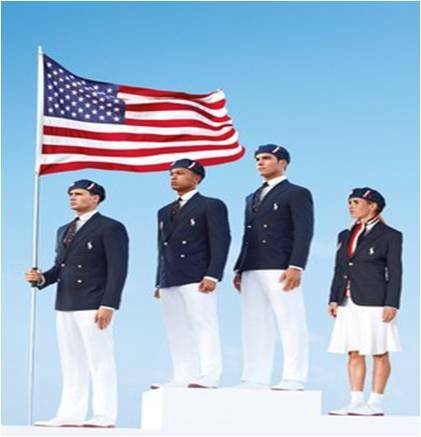 Who better than to dress our American Athletes than Ralph Lauren? 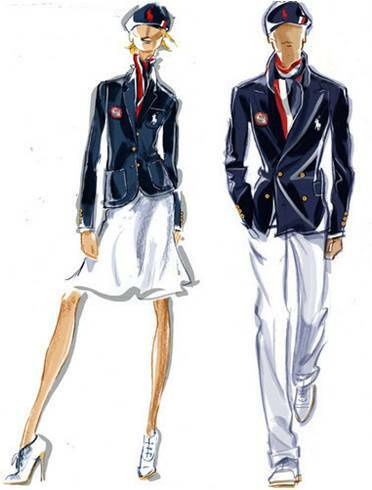 This classic American preppy look was a fantastic representation of fashion directly from the USA. Navy blazers, white trousers and knee length skirts with berets and ties definitely has an Ivy League spin. Feel like standing up straight and saluting the flag? With and outfit like this, I sure do! Using red judiciously is key in this bedroom. 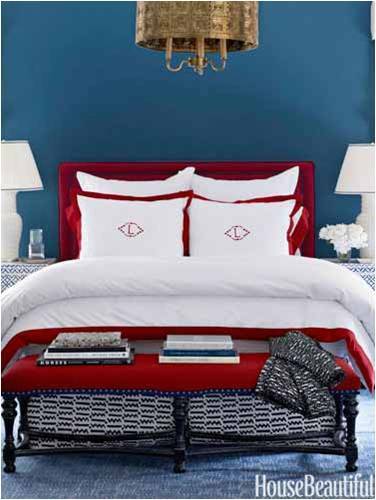 Red is a powerful color, and helps define the headboard, bedding and bench. The gold pendant fixture definitely adds a designer touch to the room. 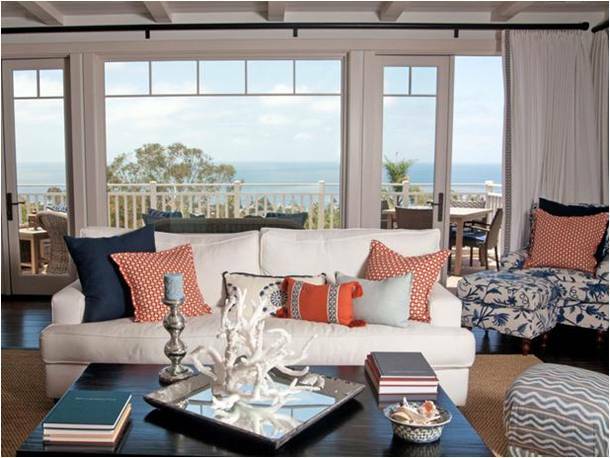 Adding adventurous patterns makes these living rooms come alive. 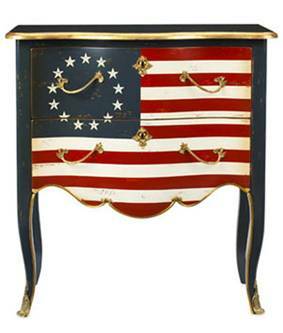 This patriotic painted chest with gold accents demands attention. Finding unique furniture such as this, really adds a great deal of character to any room, and is sure to serve as a conversation piece!